do not touch or pick at any warts. If not treated properly, plantar warts can exacerbate and become debilitating. If you would like medical assistance regarding plantar wart treatment, please see podiatrist one of our podiatrists from Foot HealthCare Associates. Our doctors will assist you with all of your foot and ankle concerns and provide you with quality treatment. Plantar warts are found on the feet. The human papillomavirus (HPV) causes them by getting into open wounds on the feet. 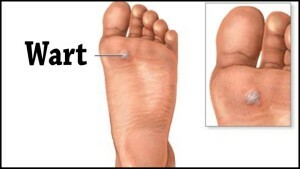 You can recognize plantar warts by a hard bump on the foot. The heels or balls of the feet are common locations. Plantar warts are usually not a sign of anything dangerous but do not ignore them if they do cause pain or embarrassment. If you do have a plantar wart, you may notice some pain when standing but since these warts are not cancerous or dangerous, a podiatrist only needs to be seen if there is excessive pain. Although plantar warts don’t often call for treatment, there are options available. Common removal tactics include freezing them off, using an electric tool, or burning them off using laser treatment.